We specialize in one of a kind minerals from right here in the Upper Peninsula as well as unusal stuff from around the globe! 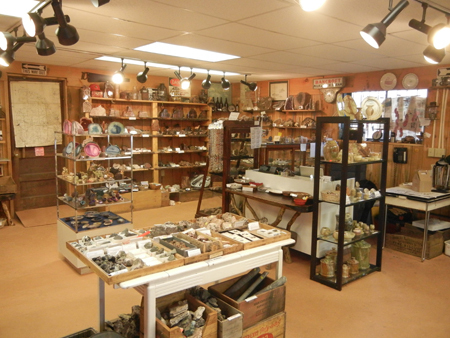 Whether you want a specimen or hand-crafted stone items like clocks, bookends, goblets, vases and animals, we’re your stop for a truly unique and thoughtful gift! Looking for a rock tumbler, gold pan or rock pick? We also keep a variety of lapidary and prospecting tools in stock!